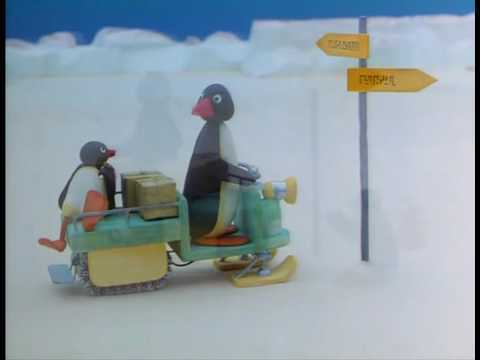 Pingu is a British-Swiss stop-motion claymated television series created by Otmar Gutmann. 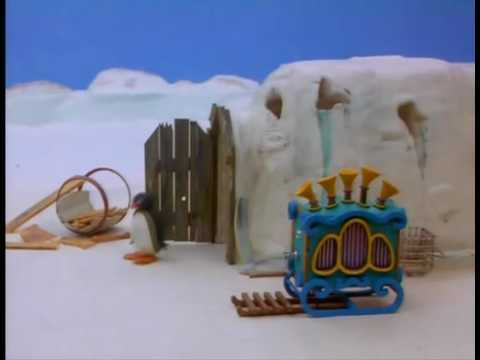 The series was produced by The Pygos Group and Trickfilmstudio for Swiss television, and centres on a family of anthropomorphic penguins living at the South Pole. 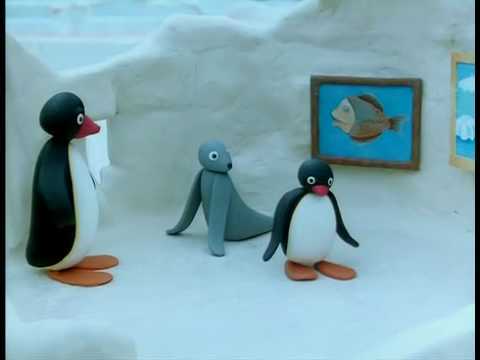 The main character is the family's son and title character, Pingu. 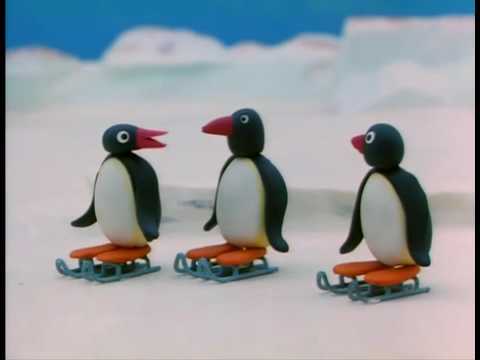 In 1989, David Hasselhoff released (in Switzerland only) the single "Pingu Dance", a rap song based on the Pingu shorts and featuring samples of Penguinese. 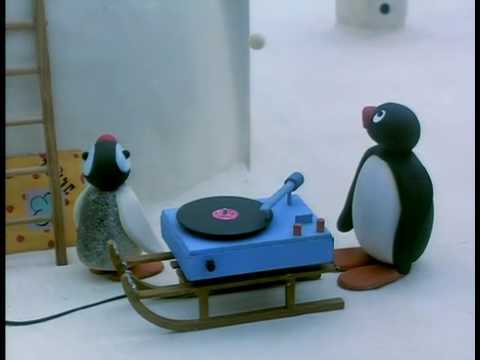 A portion of this song is used as the theme to Pingu in international airings, and was also heard in the new version of the "Pingu Looks After the Egg" episode and replaced the "Woodpeckers From Space" song from the original version. 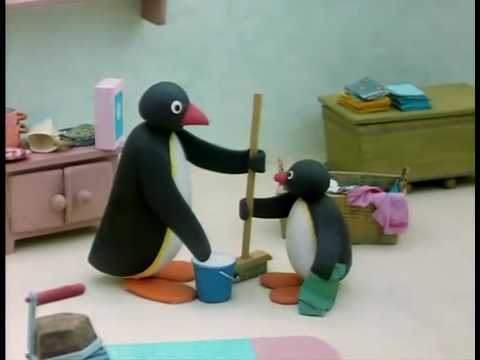 In 2001, HiT Entertainment bought the UK rights to the series, including the original 105 episodes, for £15.9 million and remade all the classic episodes in 2002. 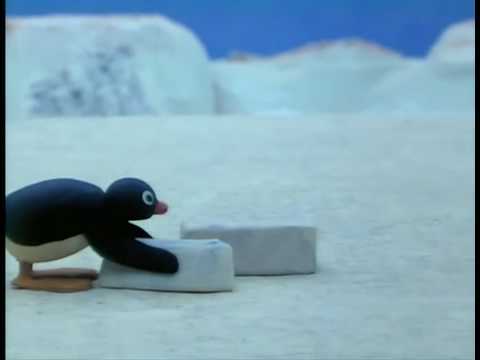 The original cartoon title card (series 1 and 2) of the show was replaced with a claymated inspiration (series 3 and 4) of the intro, and the music is half of the Pingu Dance single. Carlo Bonomi reprises his roles, and these versions are the only versions broadcasting today. 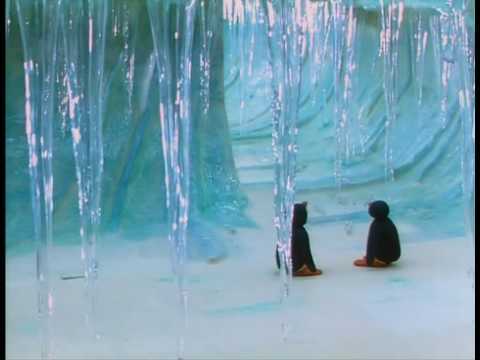 Later, HiT decided to bring back the show, and produced a further 53 episodes, created at Hot Animation Studios in 2004, continuing in stop motion but using resin casts of the original clay puppets which had deteriorated by this time. 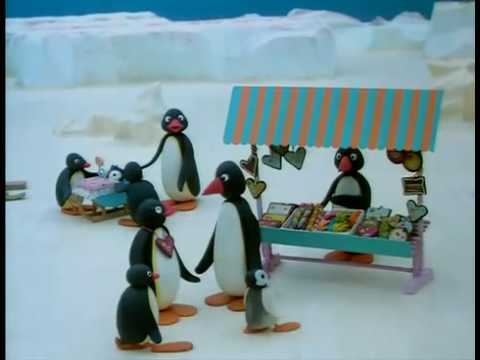 Cbeebies airs only the original version of Pingu with the original cartoon title card (series 1 and 2) from 53 episodes, and shows 13 episodes from series 3 with the claymated inspiration intro. 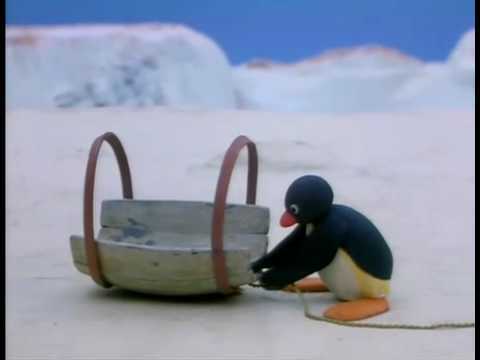 Contrary to some sources, there was never any CGI used in these later episodes. 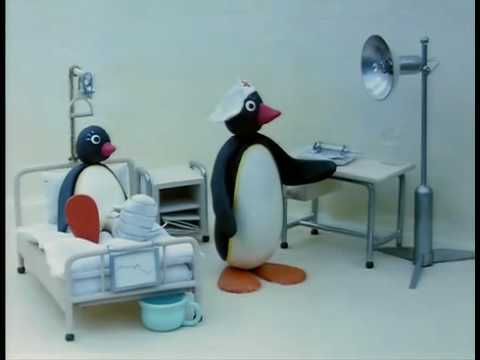 When Bonomi's non-English language became a problem, he was replaced with new voice actors Marcello Magni and David Sant. 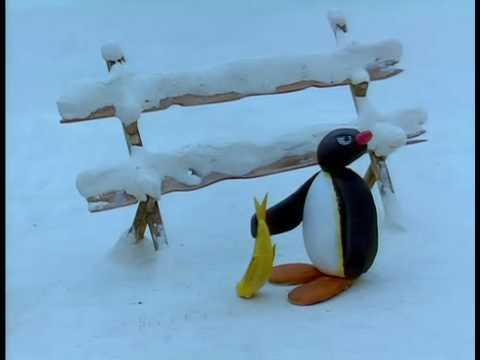 Magni and Sant, Italian and Spanish actors based in London, both have a mime and clowning background and were already aware of the clown language of "Grammelot" on which the penguin language was based. 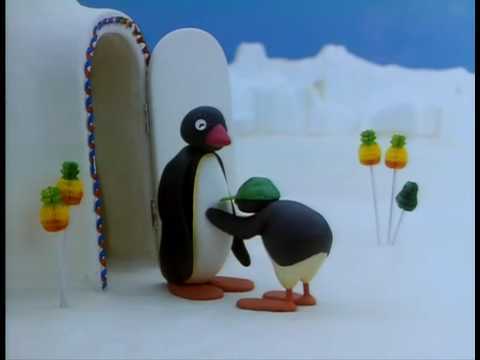 In 2006, after the last episode aired, Pingu finally ended its 20-year run on TV. 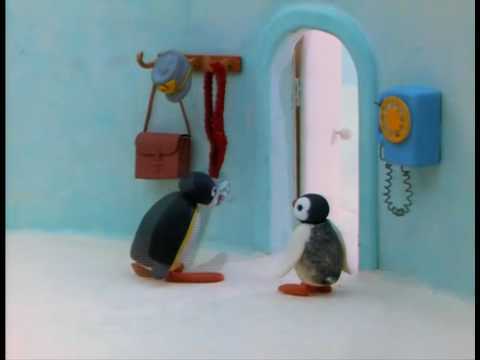 In 2006, pop icon Madonna told Swedish talk show host Kristian Luuk that she considered Pingu, and television in general, to be a bad influence on children. 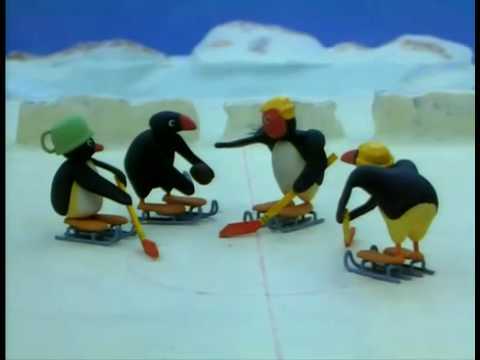 Pingu and the Organ Grinder, Quarrels with him Mum, and Snowball fight! 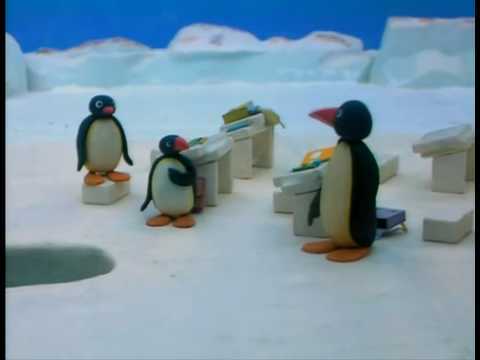 Plays Ice Hockey, Builds An igloo, Noise!